The corners feature grommets, for use as an emergency shelter. Snap Closures, measures 56″ x 90″. 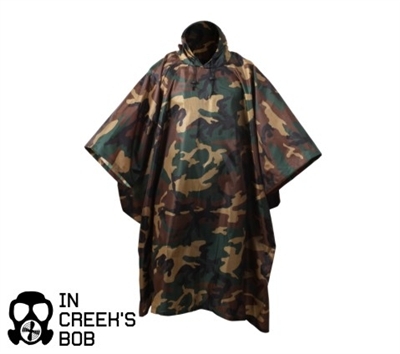 This poncho makes a usable redundant bug out canopy shelter in a pinch.